To start the evening, we meet for dinner at a great place in Vienna, STADTBODEN. In addition to a great selection of craft beer, it also features a very diversified menu, including everything from salads and veggie dishes to sausages and steak. Of course, no B&M event would be complete without, you guessed it - some juicy, cooked to perfection burgers. 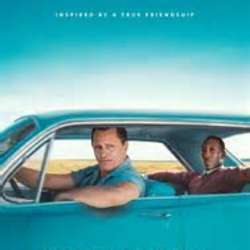 A working-class Italian-American bouncer becomes the driver of an African-American classical pianist on a tour of venues through the Protected content American South.